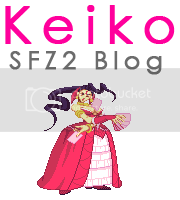 Name: Street Fighter Alpha 2 – Guy Bushin Gorai Kyaku “Glitch” – ストリートファイター ZERO2. Music Used: Rival Schools – Sakura Ending Theme. Not really a Glitch, but the effect is pretty interesting. If you Trade Hits with Guy when he’s performing his Bushin Gorai Kyaku at level 3, 2P character will stay in a longer Hitstun Animation when we perform a Reversal Move after it. You must trade with the 4th hit of the Super (Guy’s S.Strong). If this happens and Guy performs a Reversal, 2P character will freeze for a brief period of time, giving Guy the chance to do some specific combos like these ones showcased in the video. This Glitch works with all characters, I just showed all clips vs. Chun-Li because her S.Short is easier to trade with Guy’s Super at Max range. – Back to Other A2 Videos Page.